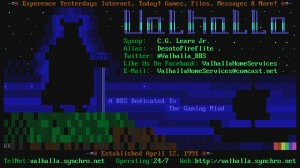 Valhalla Home Services was started April 12, 1991. 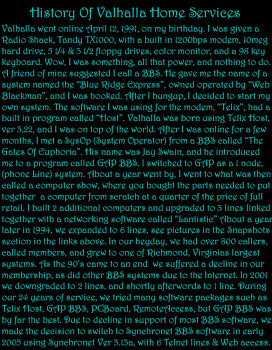 We are located in Richmond, Virginia. We are a family oriented Bulletin Board System (BBS), with something of interest for every member of the family, young and old alike. We feature over 150 Registered Online Games, which are fully playable because they are registered, and not crippled in any way. 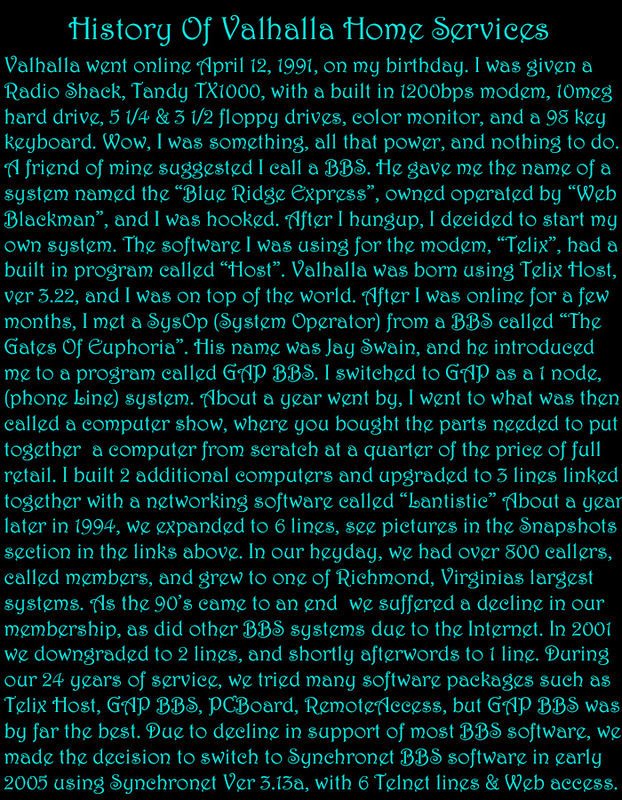 We also offer a large message base, featuring FidoNet, UseNet, DoveNet, MusicalNet, DeveloperNet, WhisperNet, and many others. For those of you that like the older files, for the older systems, we have a large online file-base. Stop on by, give us a try, and become a member of the Valhalla Family.